I'm pretty terrible at taking supplements, even though I have all the best intentions. It goes a little like this: I hear about a hot new skin supplement, I get said hot new supplement home and then I might down a capsule for the first few days but I'll forget to take it. Before you know it, I discover the dusty, past-its-sell-by-date pot years later in a long-forgotten corner of a drawer. There are two reasons for this. The first is that beauty supplements don't have that instant effect that skincare has. (You know, the silky touch of a serum or the glow and instant hydration on the skin that makes you reach for it every day.) You have to swallow that capsule down and hope for the best. Secondly, most supplements have to be taken with food, and I am not usually eating food in the same place every day. Sometimes, I'll have a breakfast meeting out, and the next day, I'll be eating toast at home. Then, if I have to take the supplements morning and night I have to lug the pot around in my bag if I'm going out for dinner (and then I inevitably forget to take it). The only supplement I have ever really, truly, gone the distance with is Symprove—a liquid probiotic that seriously improves your gut (heads-up for anyone with IBS). With Symprove, you take it on an empty stomach, so it was just the first thing I did every morning. 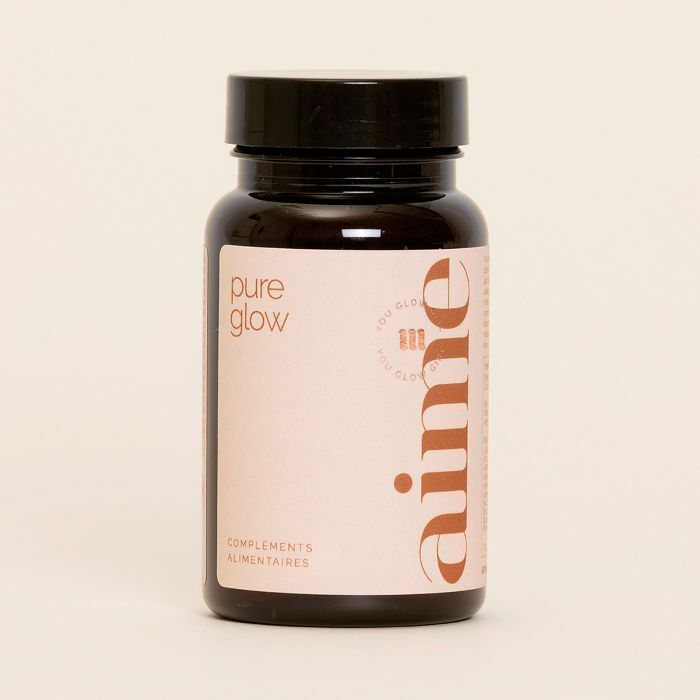 The same goes for Aime Skincare, which is so popular that its Pure Glow supplement has a 4000-person waitlist (but should be back in stock any day now). These seriously chic, Parisian-born supplements contain probiotics, so they need to be taken on an empty stomach first thing in the morning, which means you can leave them by your toothbrush or glass of water and take them in the same place, at the same time each day. No need to tote them around. Created by Mathilde Lacombe, the incredibly impressive French businesswoman who founded Joliebox (which became Birchbox) and her business partner François Morrier, these supplements are meant to fit seamlessly into any busy woman's skincare routine. And yes, they are part of a skincare routine. Lacombe, like many beauty experts, believes that a good complexion starts on the inside, and, more specifically, in the gut. While Lacombe and Morrier are experts in the beauty business, they are not chemists, so they called on Valérie Espinasse, a pharmacist and micro nutritionist to bring their idea for Aime skincare to life. "The click happened two years ago. Suffering from a strong rosacea for years, I met with Valérie Espinasse. Thanks to her, I realised that my skin was simply a reflection of what was happening inside my body and that my skin problems would not be solved only with creams. I had to look after the inside first," said Mathilde. Of course, Aime isn't here to replace a healthy diet or, for that matter, your skincare routine but instead bolster them. 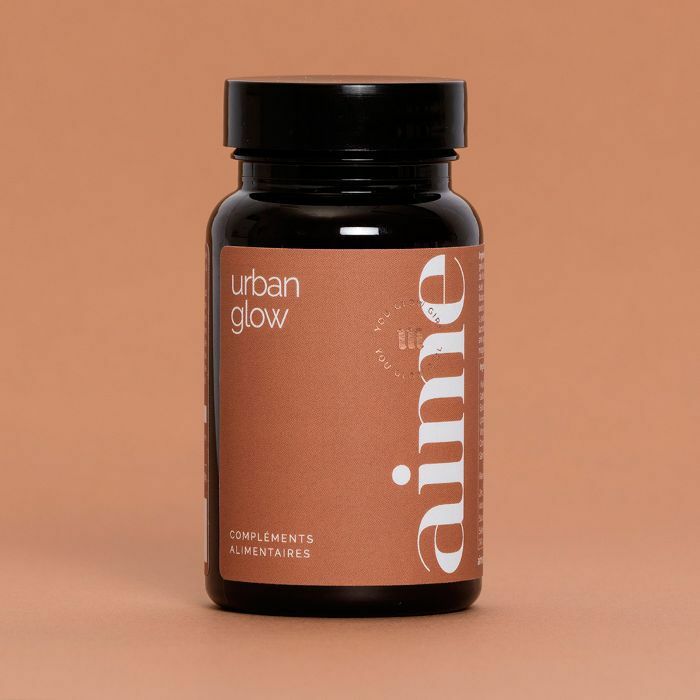 There are three supplements to choose from: Pure Glow, French Glow and Urban Glow and the website has a handy "My needs..." section so you can discover the best supplement for you. What's clever is that you can take one, two or all of the supplements at once and you won't be OD'ing on the goodness. It's actually pretty simple to decipher which ones you may want to try: Pure Glow contains (among other things) magnesium, zinc and probiotics and helps calm inflammation, which makes it especially good for anyone with problem skin. It can actually be used during your period (or the week before) to help ease hormonal breakouts. French Glow boasts hyaluronic acid, alpha lipoic acid and probiotics to hydrate and enhances the skin. This is a good one to choose if you have pretty good skin already or your complexion is dry or rosacea-prone. The last is Urban Glow, which was created with city-dwellers and women going through the menopause in mind. It contains evening primrose, lycopene and probiotics, so it's basically stuffed with antioxidants to help the skin protect itself from the environment and stress. Aime makes it easy for you to stock up, too. You can either buy one-off pots of 60 capsules (a month's supply as you take two each morning), or you can set up a subscription that can easily be edited if you want to try different combinations. Tempted? Shop the supplements below. Aime also sells a kit called The Mega Glow (£75) which contains all three (you save £15). You can also purchase gift cards. Next up, the best hair vitamins according to hairstylists.